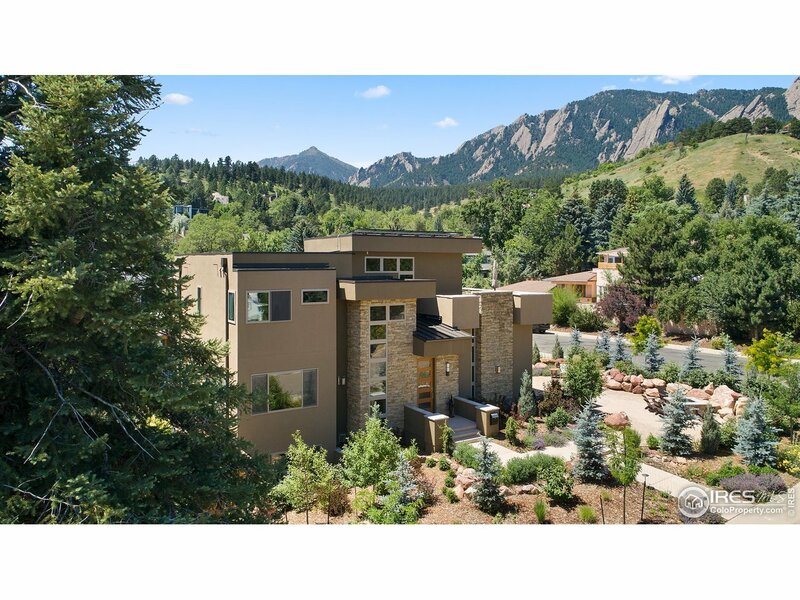 Stunning Flatirons views from this almost new construction home in Chautauqua. Flexible open floor plan designed for indoor and outdoor entertaining. Bi-fold doors connect to the covered heated dining porch, loft deck and large patio with custom fire pit. Family room with fireplace adjoins gourmet kitchen featuring Jenn Air pro series appliances, large quartz island and butler&apos;s pantry. Formal Living/Dining room with soaring ceilings and fireplace. Luxury master ensuite bath and walk in closet.